What Are The Risks Of C-Section For A Baby? The World Health Organization (WHO) states that the rate for c-sections should be about 10-15%. In high-income countries such as Australia, Britain and America, around a third of all mothers give birth by c-section each year. While c-sections are important and can save lives, they are often performed when there is no medical need. The WHO estimated that in 2008, doctors performed approximately 6.2 million c-sections that were unnecessary and could have been avoided. Discussions about unnecessary c-sections often focus on the risks for the mother, but it’s worth noting there are significant risks to the baby as well. When there isn’t a medical reason for a c-section, both mother and baby can be exposed to unnecessary risks. When there isn’t a medical reason for a c-section, both mother and baby can be exposed to unnecessary risks. There’s about a 1.5% chance that your baby will be cut with the surgeon’s knife during the procedure. From time to time, stories about this risk is featured in the media. If you’ve chosen the obstetric model of care or need to have a c-section, selecting an experienced surgeon who you trust is a way you can help minimise this risk. Elective c-sections create a greater risk of your baby being born prematurely. Estimated due dates are based on ultrasounds, and the woman’s menstrual cycle can be wrong – up to two weeks earlier or later than the EDD. 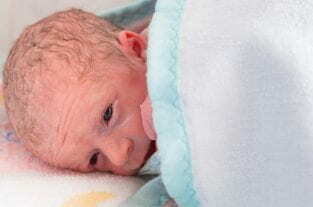 A baby born between the 34th and 36th week of pregnancy is considered late-preterm. In the US almost 75% of all preterm births and 8% of total births are late-preterm. 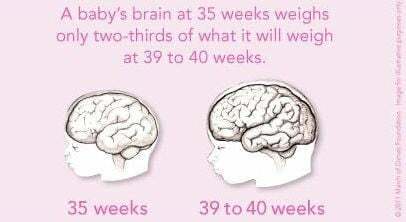 This means a baby can be born at 38 weeks but is actually 36 weeks gestation. Being born even a week early can increase the risk of complications babies are likely to experience, despite being of similar size and weight to full term babies. Babies who are born via c-section before 39 weeks are more likely to suffer from respiratory distress syndrome than babies born vaginally at the same gestation. The last few weeks in the uterus are vital for the development of lung surfactant. Being born before term significantly affects the levels of this important substance that helps babies to breathe when they are born. Respiratory distress syndrome is a serious medical condition that requires treatment in the neonatal intensive care unit (NICU). Persistent pulmonary hypertension is 4 times higher for babies born by elective c-section than for babies born vaginally. Babies who are born prematurely are also at increased risk of persistent pulmonary hypertension. When babies are born, the blood vessels in their lungs relax to allow blood to flow through them in the first moments after birth. This allows the blood to exchange carbon dioxide for oxygen. If this does not happen and the blood vessels will not relax, it increases the baby’s blood pressure (hypertension). Babies with persistent pulmonary hypertension have low blood oxygen levels and can suffer from brain and organ damage. While babies are in the uterus, their lungs are filled with fluid. During labour, the contractions press and squeeze the baby, which helps to expel the fluid. Babies born by elective c-section are more likely to develop transient tachypnea, commonly known as ‘wet lung’, where the fluid has not been expelled naturally during labour. Wet lung is characterised by fast, laboured breathing during the first few days of life. Babies with this condition usually require oxygen; they also need IV fluids, due to not being able to feed effectively, and most likely preventative antibiotics in case of infection. Some babies experience longer term problems, lasting a week or so. Following a planned or elective c-section, there is an increased risk of a baby dying. A study in 2006 found babies of mothers who had a planned c-section were almost three times more likely to die in the first month after birth than babies born vaginally. After birth, babies are assessed at 1 and 5 minutes, and given a score on the APGAR Test. This score provides information about newborn health and wellbeing. The 1 minute APGAR assessment provides information about the baby’s physical health, and helps care providers to determine if medical treatment will be required immediately, or in the future. The 5 minute assessment measures how the baby has responded to previous resuscitation attempts, if they have been needed. Low APGAR scores can be due to anaesthetic, fetal distress before the birth, or if babies are not stimulated in the way they would have been if born vaginally. Babies born by c-section generally score lower on the APGAR test than those born vaginally. Research is showing there is a big link between birth method and a child’s future health. Babies born by c-section are not exposed to important and beneficial bacteria they would acquire during a vaginal birth. In fact, in babies born by c-section, the levels of harmful bacteria can be quite high. Babies born by c-section have a higher incidence of Type 1 diabetes, obesity, and asthma than babies who are born vaginally. Most women who have a c-section have their first glimpse of their baby over a screen, and then wait until tests and checks are done before being able to hold their baby. This separation interferes with bonding and the establishment of breastfeeding and interrupts a host of benefits for mother and baby. Babies born by c-section are more likely to spend time in the neonatal intensive care unit (NICU) than babies born by vaginal birth. This prolonged separation can be traumatising for both parents and baby; it can extend the negative impact of separation, and create ongoing breastfeeding problems. C-section might be necessary when vaginal birth is a risk for both mother and baby. However, a c-section can cause significant complications for the baby when performed without a medical need, or due to care provider preference. In order to make a fully informed decision, women need to be aware of the risks to their babies. For women facing serious health problems for themselves or their babies, these risks are probably worth taking. This article aims to provide information so that women can make an informed choice about how to birth their baby, especially if they are inclined to request a c-section for social reasons, or feel pressured into it by their care provider, without fully supporting the decision. If you feel that your healthcare provider is encouraging you to have an unnecessary c-section, you are fully within your rights to request a second opinion. My son Julian was born with persistent pulmonary hypertension of a newborn in 2008. What a nightmare! He passed away in 2009. I honestly believe in my heart that if I would have opted out on a second c-section he would have been healthy. My first son was breech so it was an emergency c-section. He swallowed meconium and was in the hospital for 4 days till I could hold him. So I found out that a baby’s lungs are the last organs to develop. He was not ready to come out yet. It’s all in God’s timing, not at the Doctors convenience. They are NOT GOD! It’s not an easy bake oven where they can look through the window and decide ‘yeah I think he’s he’s done.’ They are pushing c-sections like crazy cuz it’s faster and cheaper. If you have a choice, please choose a vaginal birth!! It might save your baby’s life and a lot of heartache. I WISH I had known better. I have to have a c section for medical reasons in 2 days and I feel awful reading this, it’s scared me so much and I was just about getting my head around the idea. Not one good thing to say to women who HAVE to have them. I’m really sad. This has really upset me. I feel exactly the same. I was told today that I need a c-section due to baby’s size (over 5kg) and am looking for some positive stories to help me through the next 48h. These sort of articles focus on those who choose to have a c-section and make them out to be selfish ‘too posh to push’ whereas I have been planning a water birth and have had that taken away from me. 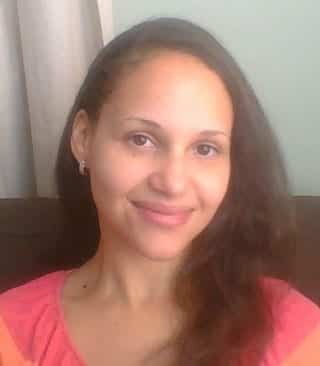 I had my 2nd daughter on emergency C- section, I was in full blown labor, she stuck her hand out and her little arm couldn’t be “re- inserted” safely, I was put out completely, it was simple, I woke to minimal pain and a beautiful 10lb 15oz (thank the stars for cesarean) baby girl. Much more smooth recovery than with my previous 2 children and also easier than the 2 that followed natural born, the 2 after that were one emergency section and the last was a scheduled section, not a hitch with either, people just want to shed a horrible light on them. I do not advocate for early scheduling of a c-section for mommy’s benefit, but scheduling a c-section at full term has no more risk than a natural birth.